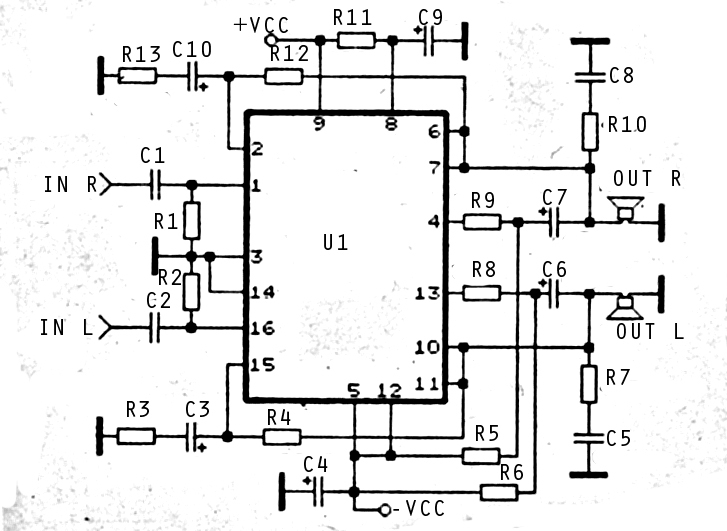 Audio amplifier circuit is very suitable for use at home, using a subwoofer speaker, or woofer speaker. 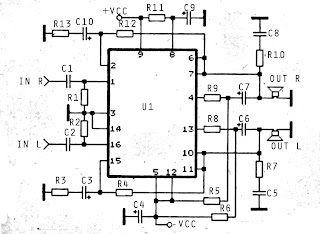 Usually, also called home amplifier, audio amplifiers are based on the IC and ic are used still in series with type STK457 STK and besides it also can use the STK459, 460, 461, 463, 465. And each ic has the quality of each one, please look at alldatasheet.com. U1 = STK457,STK459, 460, 461, 463, 465.